Recently the Department of Labor released a checklist to help employers regulated by the Office of Federal Contract Compliance Programs (OFCCP) better analyze whether their affirmative action plan meets the government’s requirements. 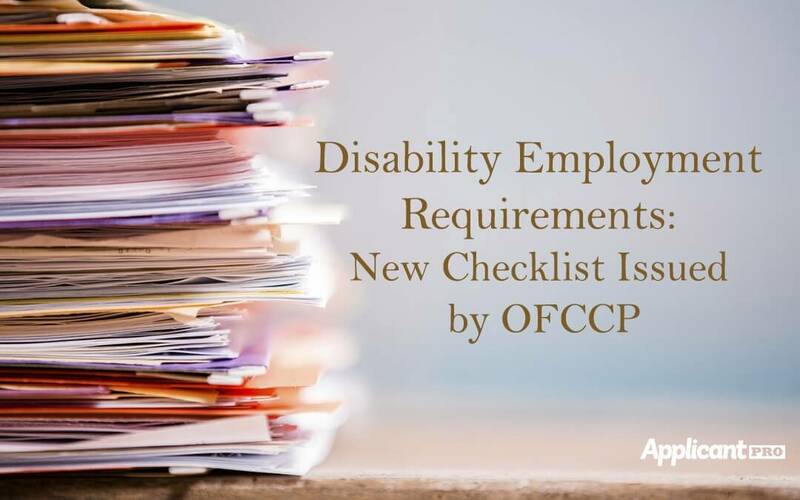 While the list itself certainly cannot replace due diligence on the part of the employer to ensure they are compliant with regulatory requirements of Section 503 of the Rehabilitation Act, it is a great way to do a self audit of your current situation in case there are things you may be currently overlooking. Complying with Affirmative Action laws, the Americans with Disabilities Act, and various federal employment regulations can be a tricky business. Make sure to keep up on the latest changes in regulations that effect employment and apply them to your company’s hiring process so you don’t run into any problems in the long run. If you would like more information about how ApplicantPro can assist you in accommodating with these new disability employment requirements, please contact us!